But it is finally done. I finished up the last bits two days before the one year anniversary of us leaving for our road trip; somewhere along the way finishing before a year was up became my goal, and I was happy to just sneak in under the wire. 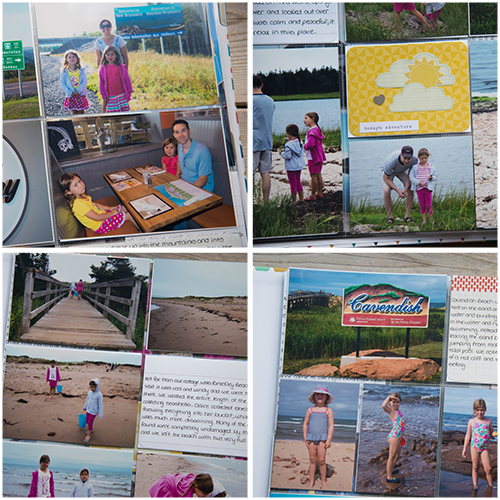 My album is fairly large, each event or day trip taking up a double page spread, with some smaller half page inserts stuck in so I could include even more photos. We took so many incredible pictures on the trip that culling and selecting those to include in the album was an almost impossible task. 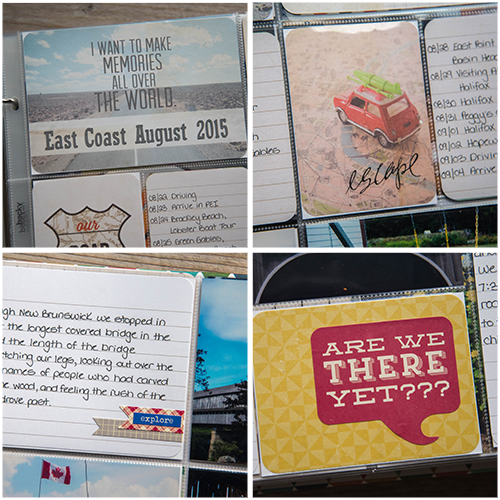 I spent a great deal of time journaling our travels. 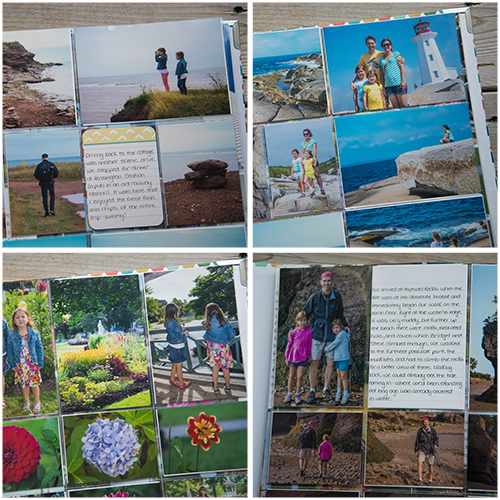 I did not only want to capture what we did and where we went, but to describe how the days felt, our beautiful surroundings, observations we made, conversations we had, and all the other small and special details; I wanted to really tell our story as we traveled east and explored the coast. I am incredibly happy with my album, how when I look through it all the memories come rushing back and I feel as if I am right back there. 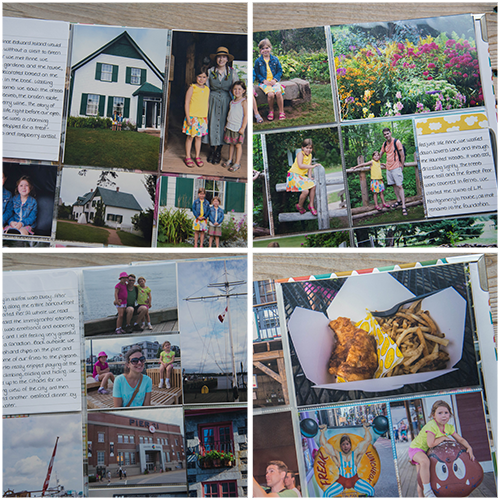 We had an incredible vacation and I will forever treasure this book of memories. P.S. You can read about our travels here and here.